59% of high school students admitted cheating on a test during the last year. 34% self-reported doing it more than twice. One out of three high school students admitted that they used the Internet to plagiarize an assignment. Are there changes in the writing voice? Does the student sound older than their normal writing style? Does the font change? Often what is copied is a different font and size. It’s not as easy as it sounds to normalize that. Does the student write about something they don’t understand or have no reason to know? This can be checked with a few questions by the teacher digging into the topic. But these are often woefully inadequate and terribly time-consuming. As a result, most educators resort to some sort of automated help. I’ve tried quite a few but a new one that I’m having a lot of success with is called PlagiarismCheck. It’s an online tool that analyzes submittals using a sophisticated algorithm that searches the Internet, compares what it finds to what has been submitted, and provides a report on how likely it is that the document includes plagiarism. Its analysis identifies word/phrase rearrangements, synonymization (replacing words with synonyms), and other attempts to cloak a plagiarized passage. It also looks for paraphrased writing (and ideas) — where a person’s published work was rephrased or synonyms were substituted in hopes of making it different enough from the original to sneak through. That is still illegal and PlagiarismCheck’s algorithms look for it. PlagiarismCheck’s enrollment plans are based on how many pages can be submitted. Once you exceed the number of pages, simply subscribe to a new pack. They don’t expire; the service is available until you use up your allotment of pages. PlagiarismCheck.org is browser-based so is available anywhere with the Internet. That means you can use it on desktops, laptops, Chromebooks, iOS, and Android devices. All you do is set up an account and upload your submittal of any length into the plagiarism checker field. The site reviews the entry and reports back to you on questionable areas. It’s quick to get started, easy to use, and takes only minutes to get a result (of course, that depends upon document length). Because the field will take unlimited text, you can check your work in one entry which is nice if you’re doing it at the last minute. 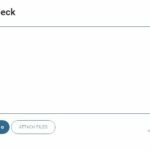 PlagiarismCheck.org supports .doc, .docx, .odt, .rtf, and .pdf files. Support is available 24/7 from the site’s personnel. There are no education accounts allowing teachers to sign up their students. Most plagiarism checkers don’t offer this but teachers would probably enjoy the ease of having all students in one place and students would love to have schools absorb the costs. Teachers can quickly and automatically review student work for plagiarism. Students can review their own work prior to submittal to verify that they didn’t inadvertently skip a citation. This is especially important in long research where it’s easy to forget or mix up notes. When students are required to check for plagiarism, it teaches them the legalities of plagiarism and how to avoid it in the future. 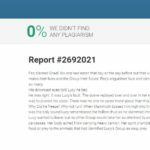 Requiring students to submit creative work with a PlagiarismCheck report satisfies teacher worries that the student misused creative content and the teacher just can’t find it. I’ve been using this tool for about a month now and have found it to be a reliable plagiarism checker in both my responsibilities as a teacher and a teacher-author. It satisfied both academic and personal requirements, leaving me with the feeling that I have done my best to avoid misusing the creative work of others.